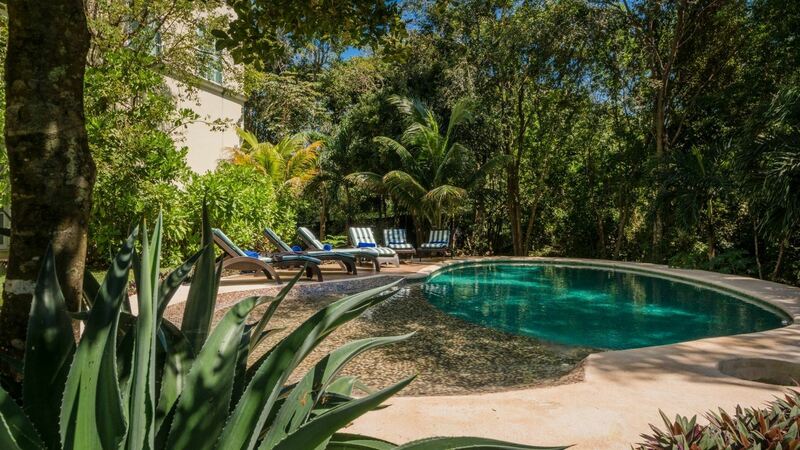 Villa Paulina is the perfect residence for relaxing with family and friends, surrounded by lush vegetation located in Playa del Carmen. 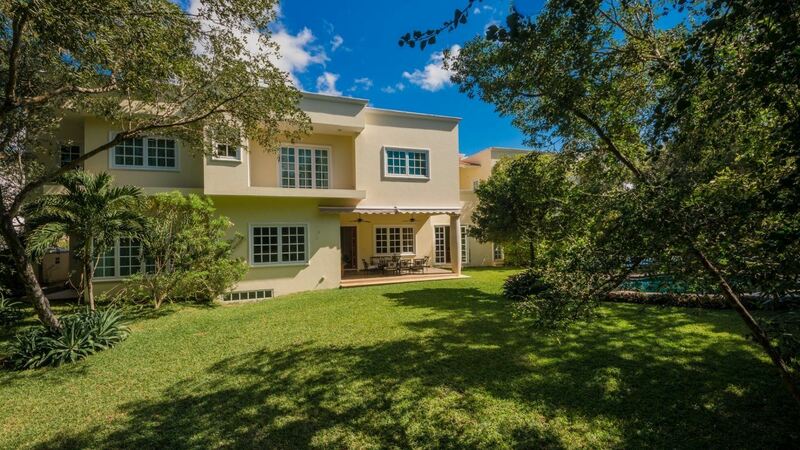 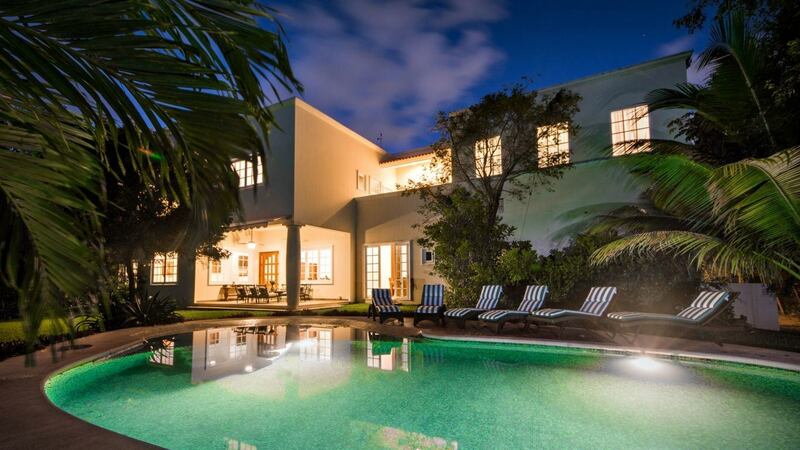 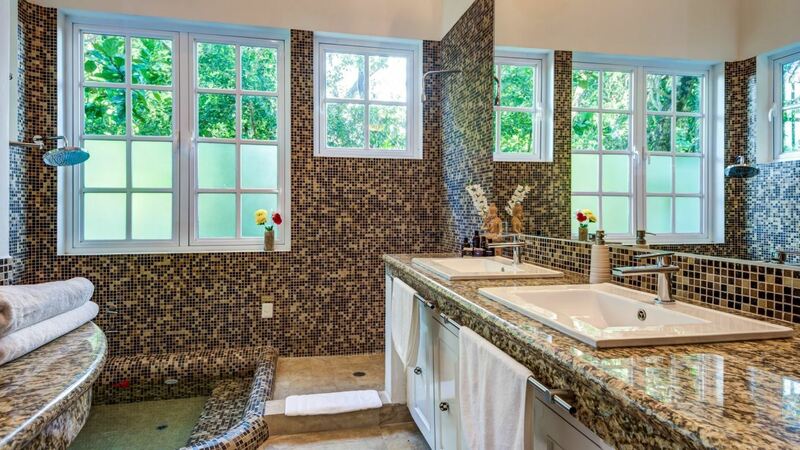 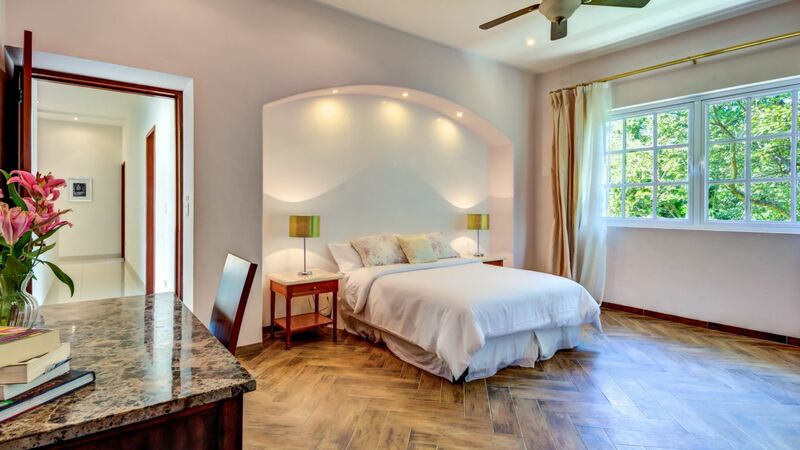 This estate offers 7 bedrooms, welcoming 14 guests in luxury bedrooms all with modern comfort. 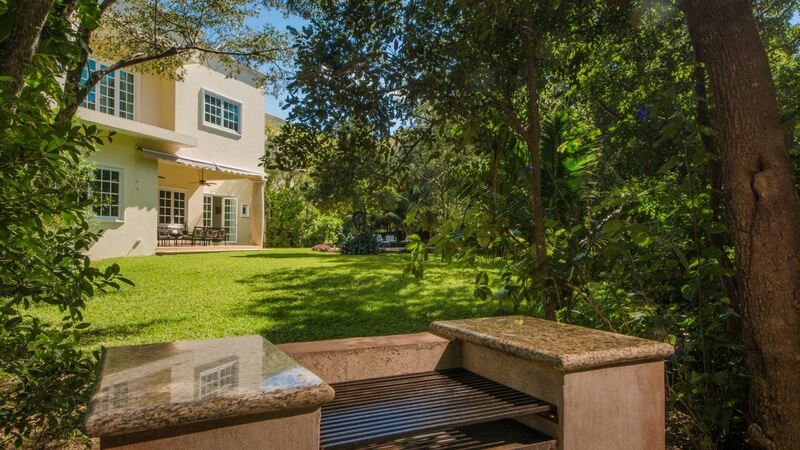 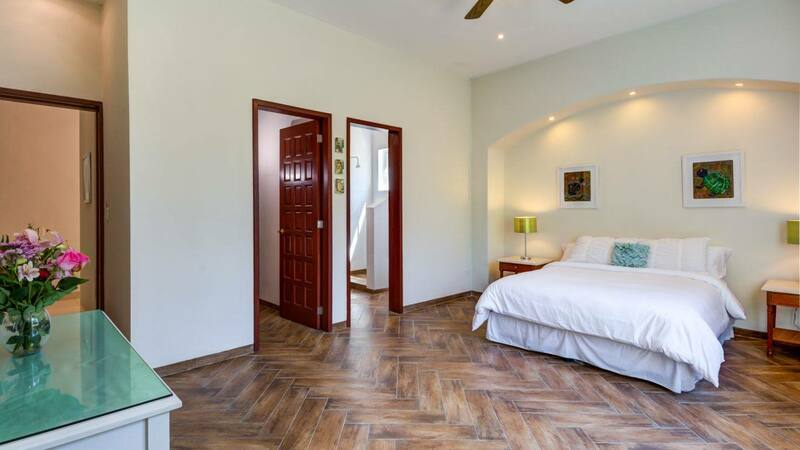 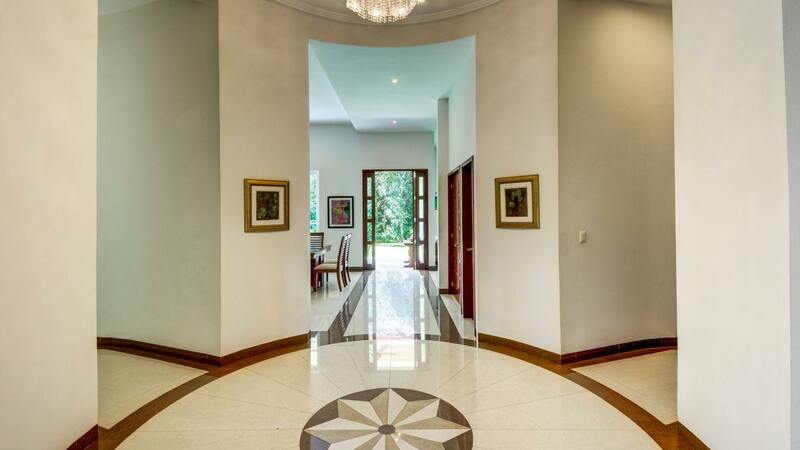 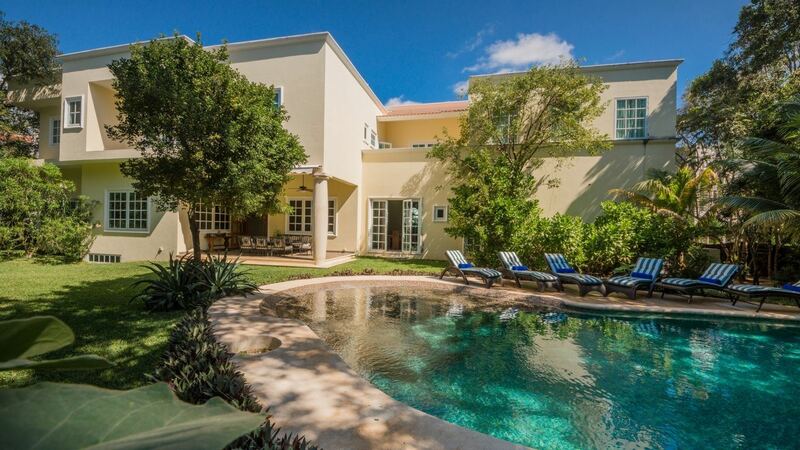 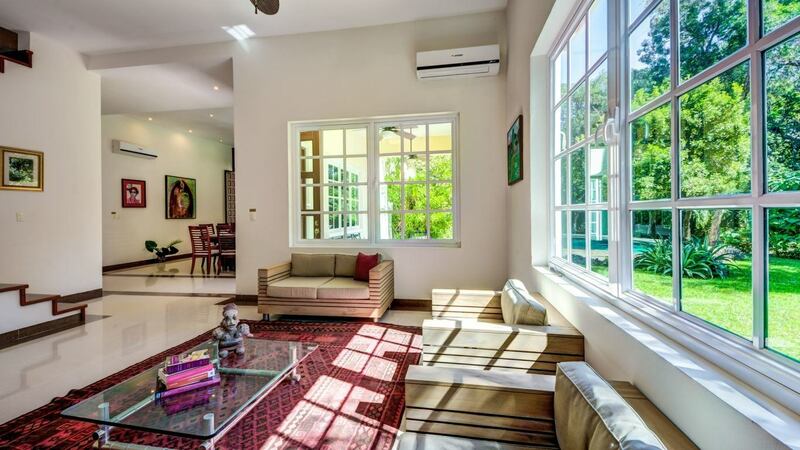 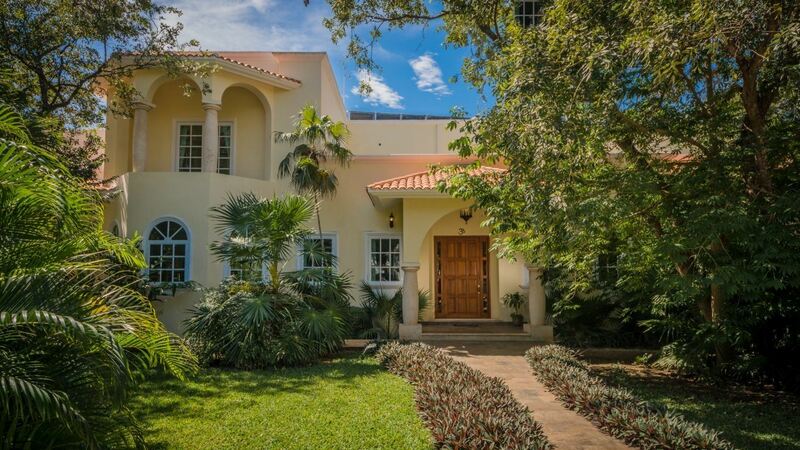 Built to a modern Yucatan style, it boasts high ceilings and ample spaces with a crisp and elegant ambiance. 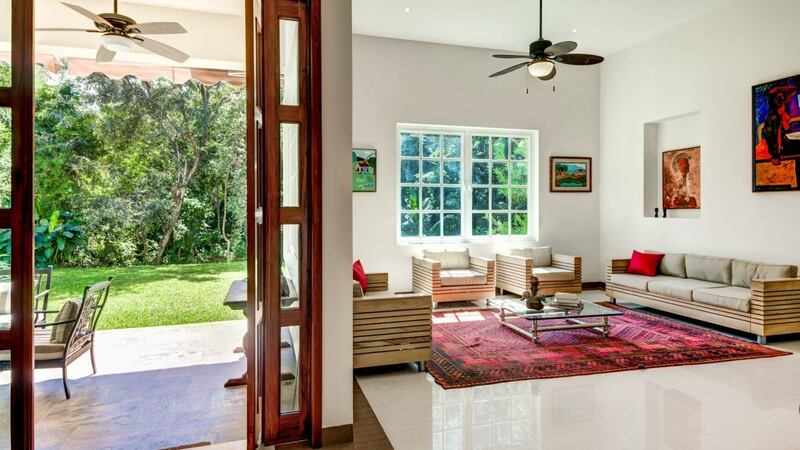 After passing through the spacious living room, you’ll find the dining table for up to 12 persons with a red Indian granite table and typical wooden chairs. 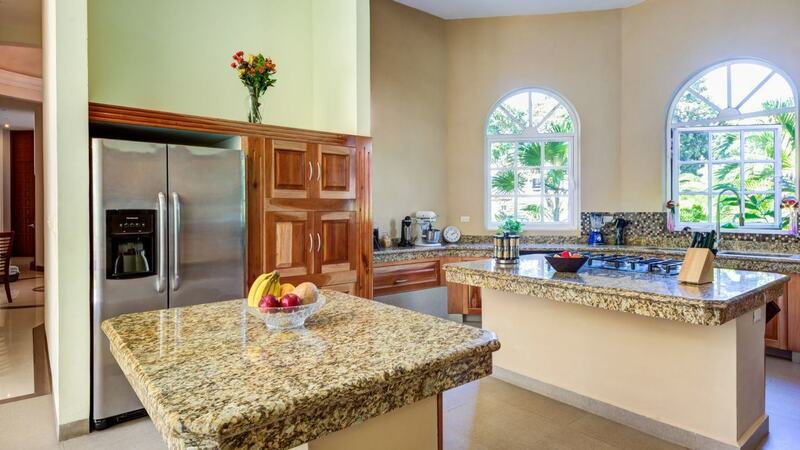 Pass through the high wooden doors to find your dream kitchen with two large granny tables. 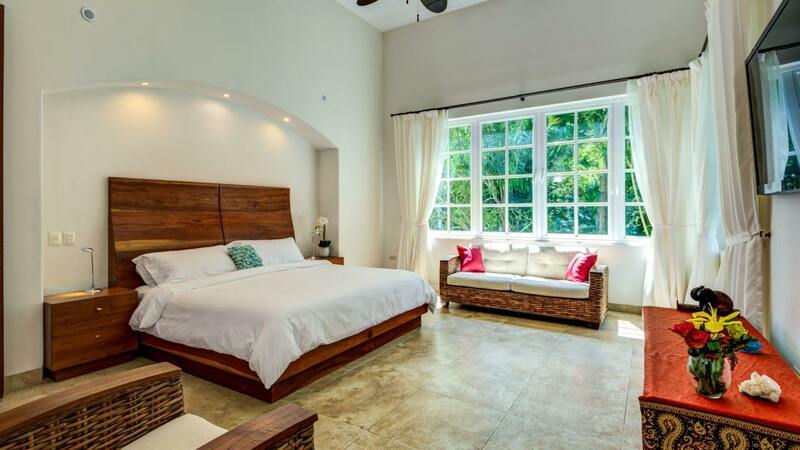 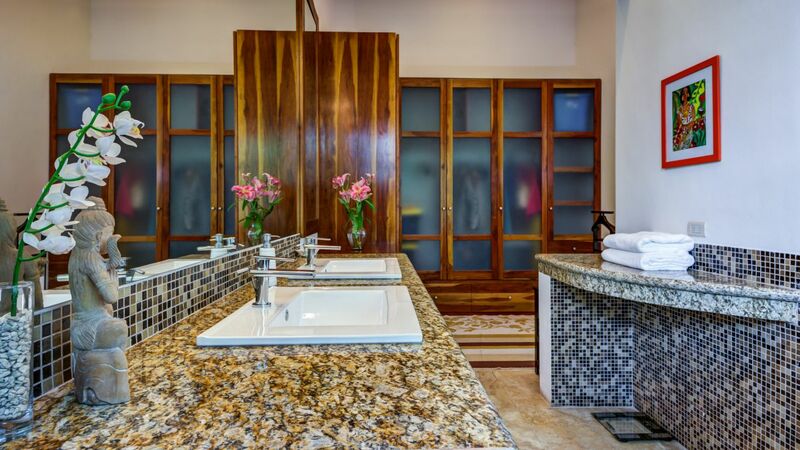 The master bedroom is completely private with its own terrace, walk-in closet, large bathroom, granite counter-tops, large Jacuzzi tub and shower. 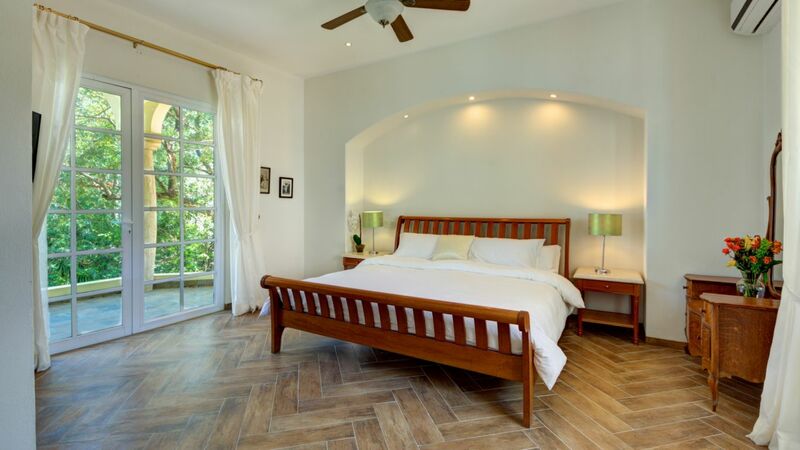 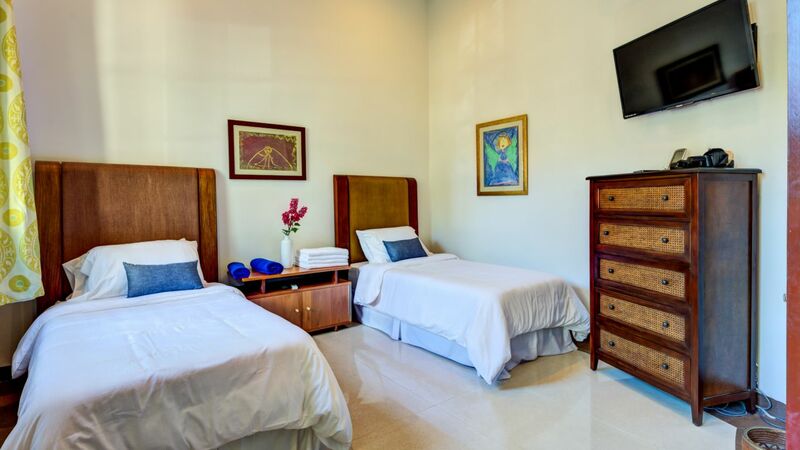 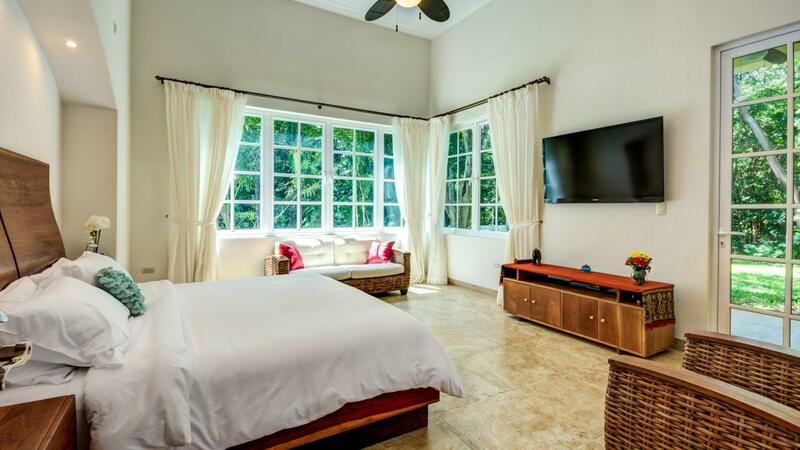 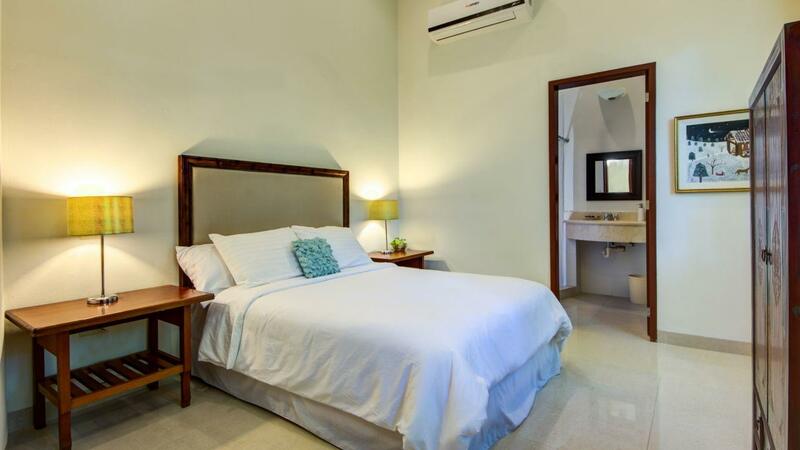 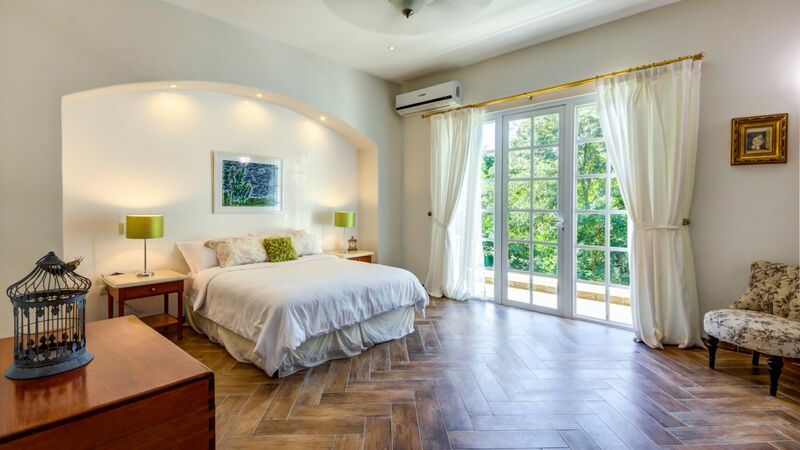 The bedroom has a wonderful view of the garden and has a beautiful tropical wood king size bed, a two-place sofa, and a large flat screen TV. 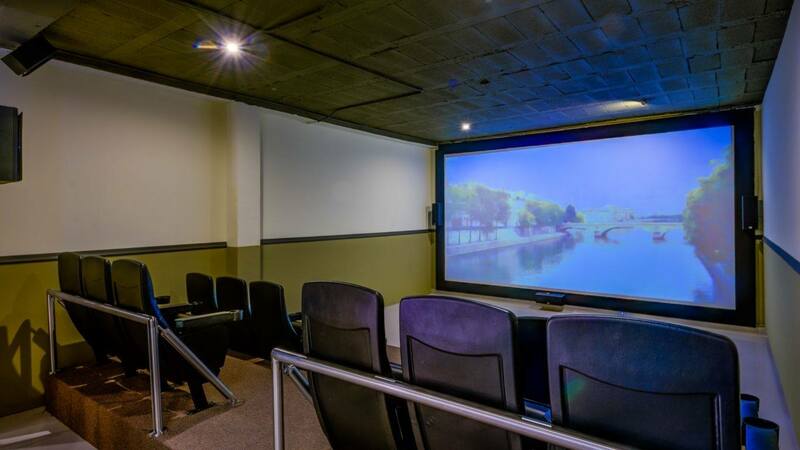 Take advantage of the home cinema, located in the basement, which boasts a huge screen and movie theater seating. 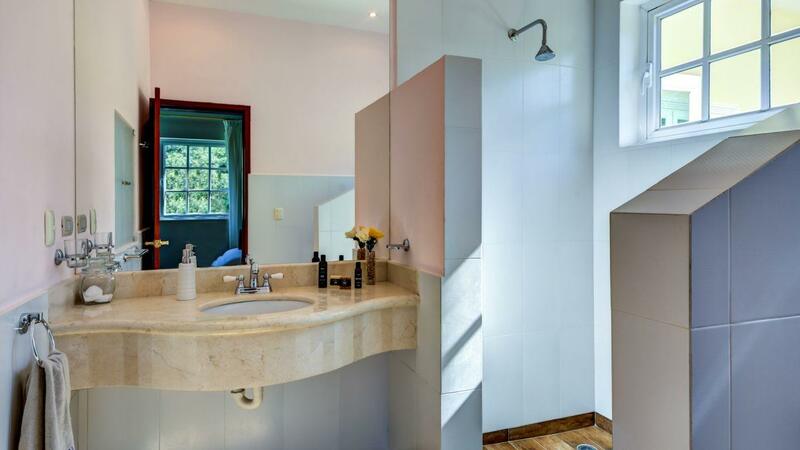 You can even connect your own Netflix. 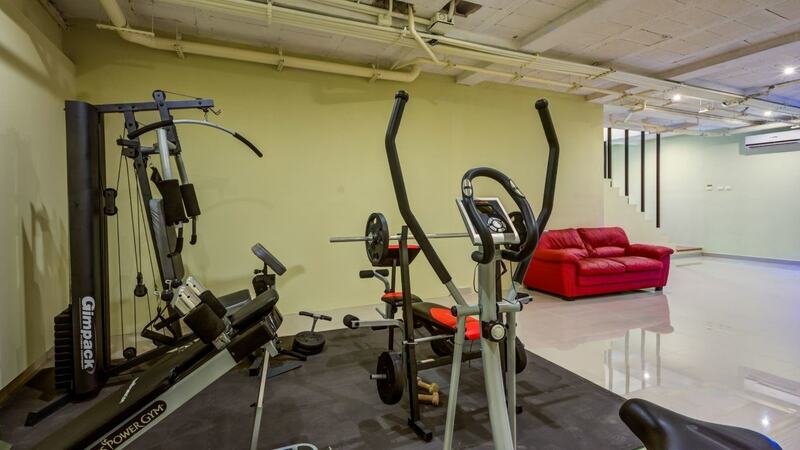 If movies aren’t your thing, take the opportunity to use your own private gym, located alongside the movie theatre. 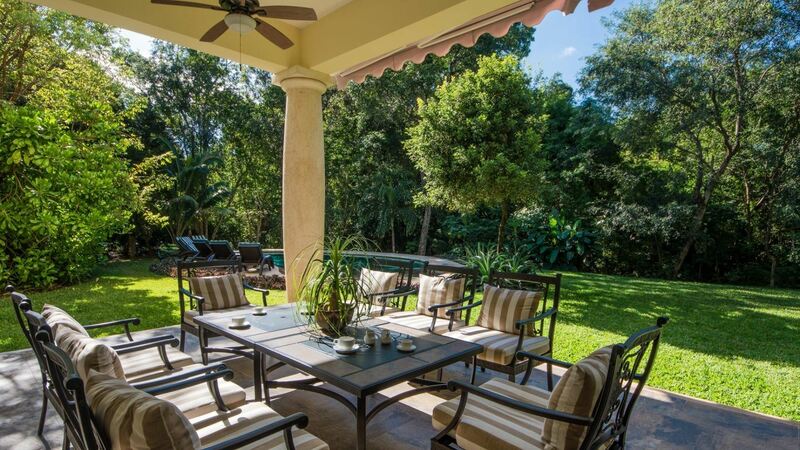 Enjoy the large swimming pool with an expansive view of the lush jungle, which separates the property from the golf course. 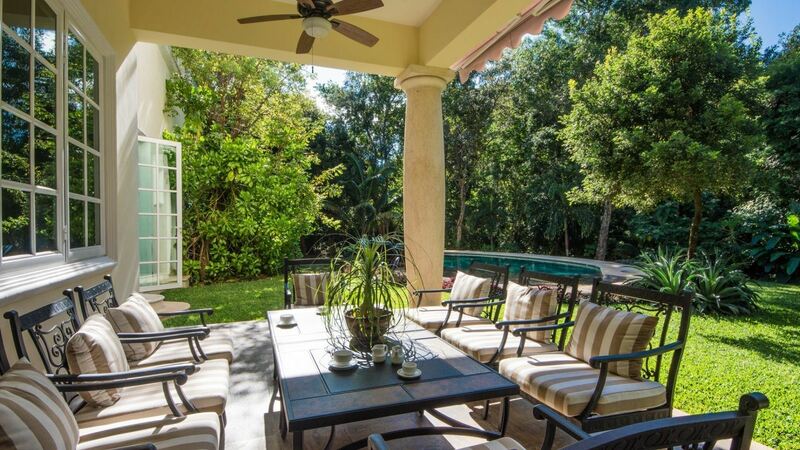 Alongside the swimming pool is the large terrace, perfect to enjoy morning coffee, reading, a drink at dusk.